Did you know Antigua has 365 beaches? Meaning, you could stay in Antigua for a whole year, and not see the same beach twice. Not only that, you’ll barely need to unpack your cardigan thanks to its year round warm climate. Whether you’re looking for warm tropical weather, sugar white sandy beaches or a taste of authentic Caribbean culture, Antigua is a destination to tempt even the most discerning traveller. If you’ve already taken the leap and decided Antigua is definitely the place for you, you’ll need to know when’s best to travel. Below we’ve put together a guide to the best time to visit Antigua, so you can make the most of this paradise island. The currency is Caribbean dollar but US dollar is widely accepted. The island holds a mountain once named boggy peak. It was renamed to Mount Obama in 2009 to honour the US president. Oprah Winfrey, Giorgio Armani, Richard Branson and Eric Clapton have all lived or owned homes on the island. There’s plenty of things to do in Antigua including swimming with stingrays! Antigua’s location near the equator means there is little seasonal variation. Its enviable year round climate enjoys temperatures between 20°C and 30°C. The dry season falls from December to April, which is high season, where the warm temperatures are met with refreshing trade winds. Although January is the coolest month temperatures remain around 25°C. Be aware that hotels and restaurants get very busy at this time, always best to book ahead to avoid disappointment. Every Sunday evening a BBQ takes place at Shirley heights. Here you can enjoy sunsets, good vibes and an easy chilled out party. 3 days of thrilling racing commences in February. A spectacular fleet of luxury sailing yachts gather here to sail along the beautiful coast. From the shore of Nelsons Dockyard you can eagerly watch them compete in pursuit races and competitive events. Average temperatures begin to rise and Spring gets in to full swing. Temperatures average between 26 – 28C and average rainfall begins to increase. Spring time is a very pleasant time to visit Antigua. This yearly anticipated event attracts nautical enthusiasts from across the globe. 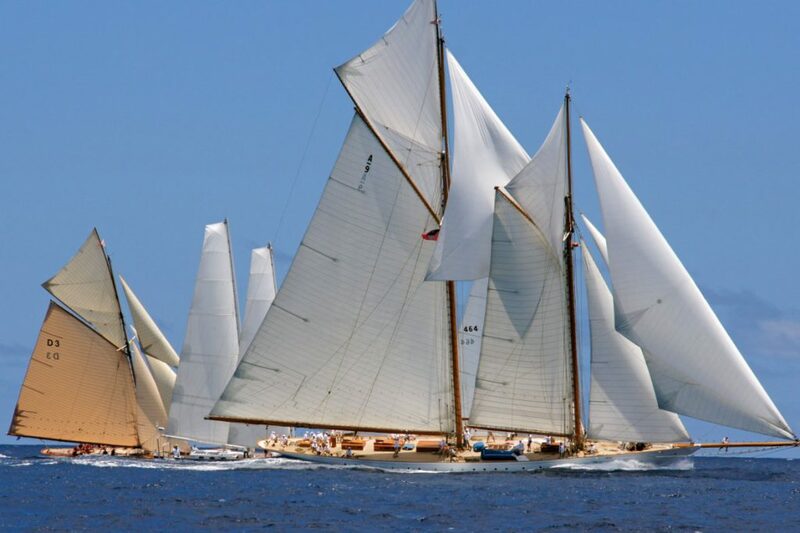 In April beautiful vintage yachts gather to enjoy 4 days of racing. A parade of boats and evening entertainment takes place on shore as the vintage beauties race offshore. Plenty of rum, sunshine and the laid back Antiguan hospitality make this a great event indeed. In April thousands of colourful cloths soar above the skies of Antigua. It’s a great family activity where you can fly your own kite or watch others. At the end of April / beginning of May Antigua sailing week commences. It’s one of the best sailing competitions in the world and without a doubt the biggest event in the international sailing calendar. Admire some of the worlds best sailing and luxury yachts from Nelsons Dockyard. 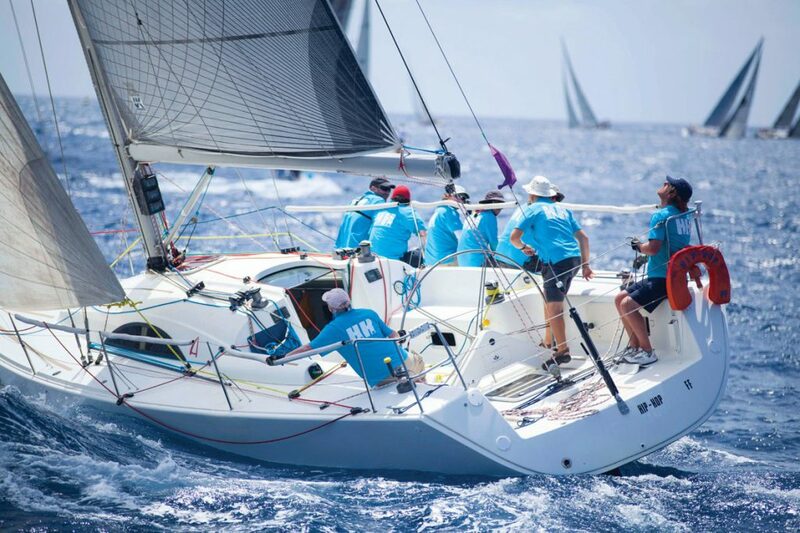 You don’t have to be a sailor to enjoy the event as you can watch the races from the shore with run punch parties, beach parties, BBQ’s and live music performances or even tag along a sailing vessel. The summer months are the hottest in Antigua with temperatures reaching above 30 C. The chance of tropical showers increases, however Antigua is a relatively dry island and rain, when it comes, is usually short showers. This is the best time to visit Antigua as hotels offer lower prices and resorts are much more tranquil. 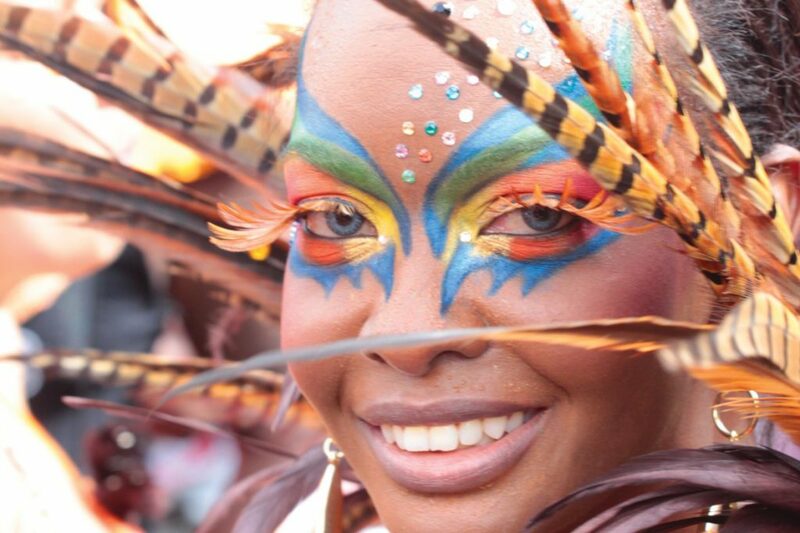 Full of culture and excitement Caribana takes place on Antigua’s sister island Barbuda in June. You can expect traditional calypso singing, beach parties, street dancing, carnival queen competitions, street parties and so much more. Celebrating the islands favourite fruit, the Mango festival takes place in July. Learn how to cook some local dishes using the fruit or join in a mango eating competition. Watch culinary cook offs, mango workshops or just peruse the stalls selling mango products. 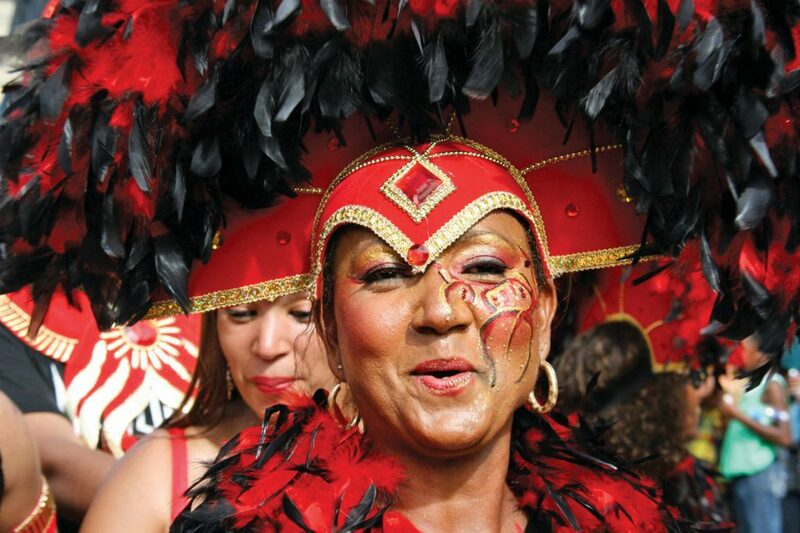 Possibly the most exciting event in Antigua, Carnival takes place the last week of July and first week of August. The carnival is held over the anniversary of the emancipation from slavery and is an explosion of revelry and Caribbean culture. Steel band music plays and street parties pop up around the island. Colourful costumes line the streets and games and competitions take place. During carnival week the parade J’Ouvert takes place. Steel and brass bands play over the island showcasing a spectacle of passion and authentic culture. In Autumn time rainfall is at its highest and you can expect tropical showers. However this weather means the islands landscapes are lush and green. Autumn in Antigua is considered low season so you’ll find little crowds and space to yourself. After gaining independence in 1981 a ceremonial parade takes place each year to celebrate. Marching bands, fetes and other formal celebrations pop up around the island. The black, red, blue and yellow colours of the flag adorn the streets. When’s your favourite time to visit Antigua? Let us know in the comments below. Stay up to date at Visit Antigua & Barbuda’s Calendar of events or discover the best things to do in Antigua.